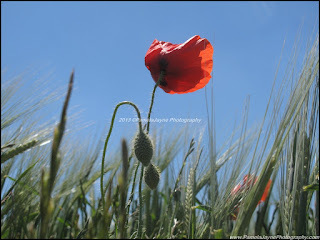 PamelaJayne Photography - Making Memories & Life through the Lens: May - our busy happy month! Born in Essex and living most of my life not so far from the coast!. In the Summer of 2004 we moved to the West of France. I take a lot of inspiration for photography from the countryside and wonderful regions around us. I love people watching, the landscapes we have can be endless and summer Sunflowers are bright and beautiful! I enjoy the feeling of liberty and fun that is to be had with a camera, I enjoy trying out new things, and sharing my life through the lens. May - our busy happy month! I love May, not only is it the best Spring month for flowers and new life everywhere but we have our beautiful daughters Birthdays this month as well - have done since they were born obviously but this month is extra special - our Chloe is now 21 and our Naomi will be 18 in 2 days time! Planning was not on our minds quite obviously! BUT the good thing in France they don't really celebrate 21 as a big all out Birthday, it's just another birthday having already celebrated the 20th. Soon to be 18 year old! my 21 year old ! The most wonderful lady in my life! So basically we ate a lovely lunch and just had lots of fun and laughs and of course Missy got lots of lovely pressies! These were taken on the 6th - I went outside and it was relatively warm and sunny evening and I happened to spy rather a lot of flying critters around the fruit trees, at first I assumed they were the weird Dangly legged St. Mark's flies but no! These were different totally I have since found out they are Green Longhorn Fairy Moth (Adela reaumurella) Male, I was astonished at the length of the antennae on this little moth! But oh so pretty and dancing in the dusk! The butterfly on the next leaf was considerably giant like in comparison! Just as I was going back inside I noticed this dandy was losing it's seed heads in the breeze! We decided to paint the kitchen over the first of the Public holidays - there was us thinking ALL the shops would be closed but no the locals were all open and most of them packed with "holiday shoppers!" We had a good root through the paint selection and could not quite believe my eyes - the colour I have wanted since "forever" in the kitchen - it was fate so home we went and started the task of giving the kitchen a face lift I admit it is not finished yet! The first market for me of the year was at one of my favourite places of Aigre although it is still a little quiet at this time of year - cards left the area! Also Naomi took the music on solo as Chloe was studying for the upcoming exams! She did very well even if I do say so! Whilst there I couldn't resist taking photos of the lovely soap that Angie makes from her very own Goats Milk, well not hers you understand but that of her Nanny goats! Sainte Soline looking very green! We also paid a visit (Rob for work me for pleasure) to my friend who fosters Pedencos and Spanish Galgas! They were the most gorgeous dogs I have met - they are so docile, friendly and just want to be loved! My lovely friend fosters and finds homes for most of them but these lovelies have stayed with her. They all have such fantastic natures and you wonder how mankind can be so cruel to an animal that only has love to give! They have a new lease of life once saved and re-homed. I hope you enjoy the photos as much as I enjoyed taking them and capturing their personalities! For more information on re-homing you can contact Lévriers and Compagnie http://www.levriersetco.fr for more photos please do pop over to my Facebook page or Flickr. not a Galga or Pedenco but just gawjus! The 16th May - Naomi's 18th Birthday - the realisation your youngest is now an ADULT! gulp........but I hope she doesn't take that label too seriously! I don't think she will it's not in the genes! Lunch was at Au Bureau http://www.aubureau-bpub-restaurant.fr/ a really lovely "Irish Pub" which had the best menu to suit all 4 of us that day, and Naomi's friend being a vegetarian also had a good choice! We of course only went for the Guinness (which I can't stand!)! We had a concert to go to on the Friday which was Naomi's music class from the Lycée and 3 local Colléges. Singing songs from the Plantation days......a lovely story but the singing was fantastic, all the youngsters bar one (ours) were French but the sound the produced was so good. Amazing Grace brought the hairs on my arms right up! After so much fun over the last few days it hard to believe we still had Naomi's 18th to celebrate...but we did!! I didn't need to panic about the cake topper - another of my incredibly talented friends got me out of a spot and helped me out! I couldn't believe this when I saw it - we all think it's incredible! The look on her face says it all I think don't you? Along with 3 Dr Who t.shirts and many other great pressies from family and friends I think we can safely say someone enjoyed their 18th celebrations a lot! SO now onto another event - yes the 3rd Birthday of the month - I will be celebrating on the 26th (now those of you that have been looking at dates of the birthdays may have noticed a little theme running through the numbers - and I promise you - not intentional, well not much anyway!) So my Nearly Birthday Twin (Julie is the day after me) decided to treat ourselves to something completely different for our treat and it was different and a treat! 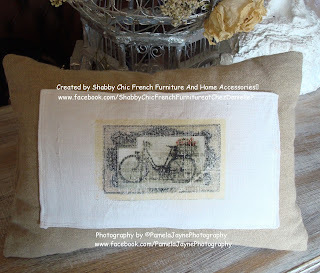 We went on a Paint Techniques workshop with a very talented and local lady Danielle who loves shabby chic - so much she is making her dreams come true and working her passion on a daily basis - you must pop over to her page.... https://www.facebook.com/ShabbyChicFrenchFurnitureatChezDanielle?fref=ts she has some beautiful furniture and home accessories. Well we started with a boring old piece of furniture - mine has been in the family for years and recently been used in Naomi's room, I say nothing at this point! So I chose the cupboard because I wanted to show it off really it is such a pretty little thing, well I think Danni and Mr Toad (her husband) loved it as well! After spending many hours, and having lunch with Birthday cake AND a candle :D we were seeing our furniture emerging that was quite lovely! In between the painting we did a lot of talking and I mean a lot - well 2 Geminis from Essex in the same room - it was never going to be quiet or even sensible really! The best thing was hearing music from our era and it really took us back down memory lane - even managed to fit in a few dance moves to Saturday Night Fever....so much fun!! This was our practice board which became a work of art! Here we are learning the skills to work on our furniture including "whispering" which we weren't so good at! Tada! the finished article! Which now has a place in our lounge! Well after the day we had, you would have thought we would be exhausted but Danni and I (poor JB had to leave to go home to reality!) got chatting about my photos and her skills, the creative juices had been working over time all day anyway, but the more we talked the more ideas started flowing.... and we have now joined forces - I am so thrilled! Danni will be transforming my photos into wonderful and unique gifts - our first one is this wonderful cushion which is "So French" this has to be my all time favourite but also my bestselling and competition winning photo so it means so much to me that Danni also sees the potential of making it into something so special! There are more unique ideas to follow but she is a very busy lady and she does do all the hard work of making and creating! So far this month has been fantastically special despite the continuous rain but to be honest compared to Oklahoma we are incredibly lucky! Today also the terrors of the Woolwich attack is on everyone's minds and being talked about everywhere, so I leave you with this photo which as someone pointed out is particularly fitting today! My heart goes out to his family and parents a young life stolen by mindless people! I will be back soon - after all we still have a few days left to cram in more events this month - I wonder what we will end up doing? I wish you all a good, safe weekend and once again thank you for reading my "Life through the Lens" from France. July seems like a long time ago now! Blossoms, Birds and Blue Skies! St. Valentine's Day and the Weekend! Postdated April - the catch up!